Oracle India Pvt Ltd will lease large office space in the Bandra Kurla Complex. The IT majorhas already signed the agreement. Oracle India will lease office space in BKC. MUMBAI: Oracle has signed a lease agreement for its Indian arm Oracle India Pvt Ltd. The IT major has leased large sized office space in the Bandra Kurla Complex in Mumbai. The group will lease 50,000 sq. ft. of office space. Oracle India will have to pay Rs.340 per sq. ft. for gaining office in the BKC which is one of the most costly office spaces across India and Asia Pacific Region. The lease agreement will be for a term of nine years. One floor will be fully leased by Oracle India. The transaction worth Rs.183.6 Cr is the largest lease transaction in FIFC. First International Financial Centre (FIFC) is a Grade-A commercial development in BKC. Jones Lang LaSalle is planning to raise a new realty fund. The main focus of JLL’s Rs.1200 Cr realty fund will be commercial sector. JLL plans to raise Rs.1200 Cr to invest in the commercial realty. 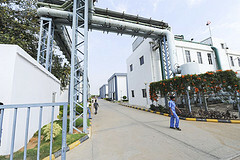 BANGALORE: Late last year Jones Lang LaSalle launched a private equity fund. The PE fund collected Rs.300 Cr. Now JLL is looking forward to raise another realty fund for investing in the commercial realty. If JLL collected Rs.300 Cr for investing in the residential sector, the new fund, which is four times bigger than the first, will be invested in the commercial realty. Rs.1200 Cr realty fund is expected to be launched by the 2013-end. Their first fund was invested in Bangalore. JLL invested the amount in two residential projects. Though the new fund is expected to be invested in the commercial sector, details are not available. Sources with direct knowledge say that the decision is not yet taken as to whether the investment should be domestic or offshore. JLL: Residential Realty Market is set to appreciate in 6 months. JLL says that new project launches, which were slow in Mumbai and the NCR in the first half of 2011 due to approval and land acquisition issues, have now started to pick up. This should improve cash flows for developers having large land banks during 2012. A number of builders have acquired huge land banks on borrowed fund. As the builders pay huge interest rates, nearly 15-18 % on the borrowed fund, the servicing of debts has put huge strain on their finances. Any improvement in off-take is likely to release them from the financing pressure. In the present slowdown condition, despite bad financial conditions, builders are not cutting the prices as in most parts of the country; they have priced their projects at nearly cost prices. “With rising input costs, developers do not want to sell below a threshold, which does not justify their minimum replacement returns,” JLL says. “This leaves home buyers with a small window of opportunity – the next six months – when home prices should witness marginal appreciation. After six months, a second wave of high appreciation is predicted. However, in some of the micro markets in Mumbai and the NCR, the appreciation in prices was even sharper. 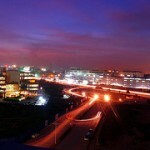 In the last two years, in some of the markets like Gurgaon’s Dwarka Expressway, prices have almost doubled. Overall, the Indian real estate market went through a slowdown in the last one year. But, all the predictions of a hard landing for the residential property market in 2011 and 2012 have failed to come true, so far.